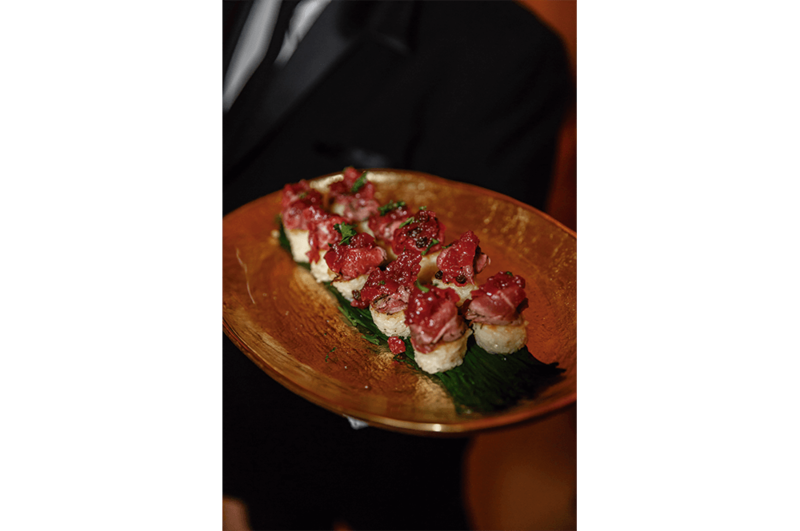 Our team’s main purpose was to produce a world-class program launch reflecting the talented and discerning client’s expectations for flawless execution and an unparalleled, impeccable and seamless guest experience. 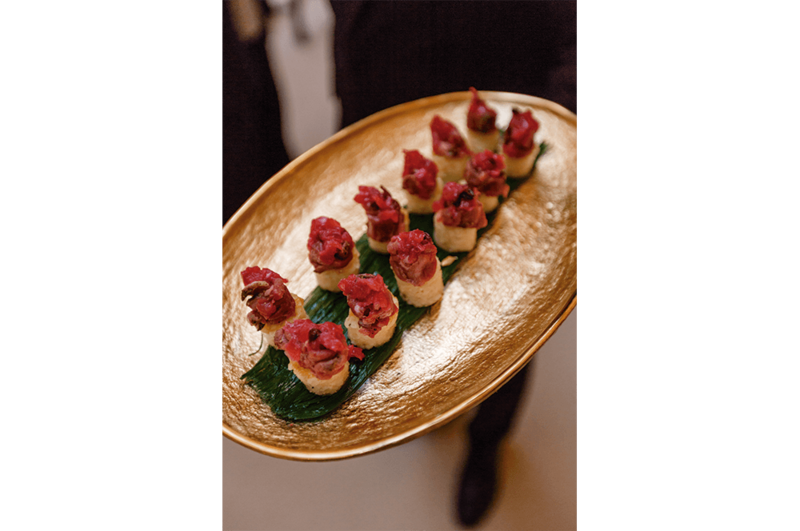 Attention to detail was paramount, as was the creation of a warm, comfortable and inviting reception. 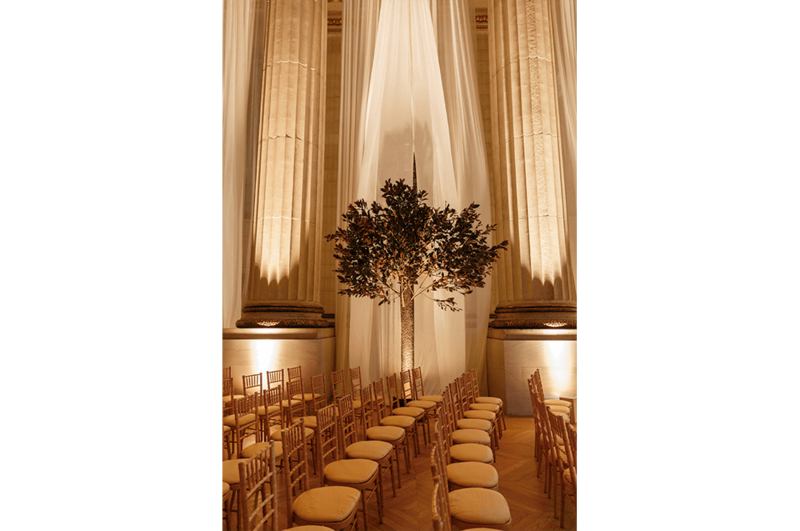 After reviewing several venues, the client decided on the Mellon Auditorium, a beautiful neoclassical building in the Nation’s Capital. 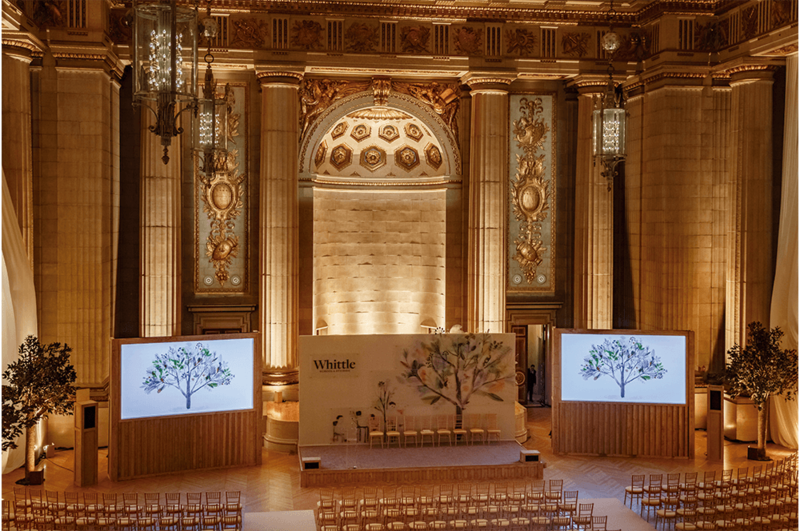 It has been called “one of the most magnificent auditoriums in the country” and is one of our favorite spaces. 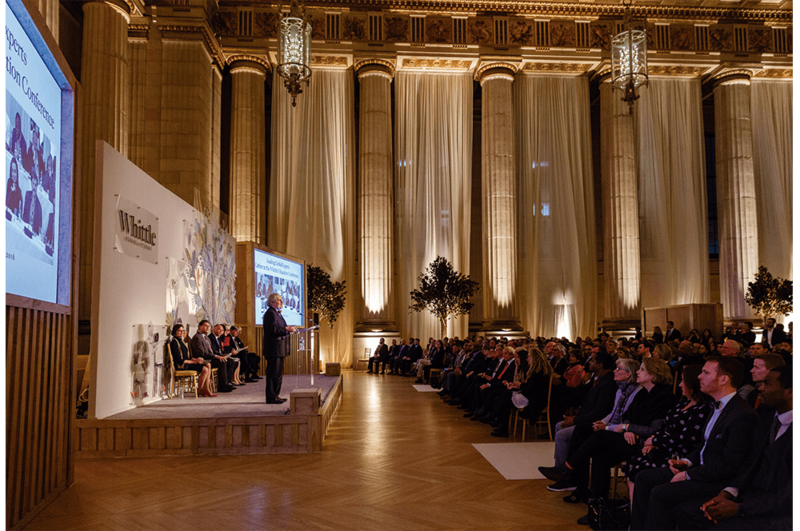 The Mellon Auditorium was built between 1932 and 1934, and although the General Services Administration modernized the venue in 2002-2003, it was not initially designed for large public events. 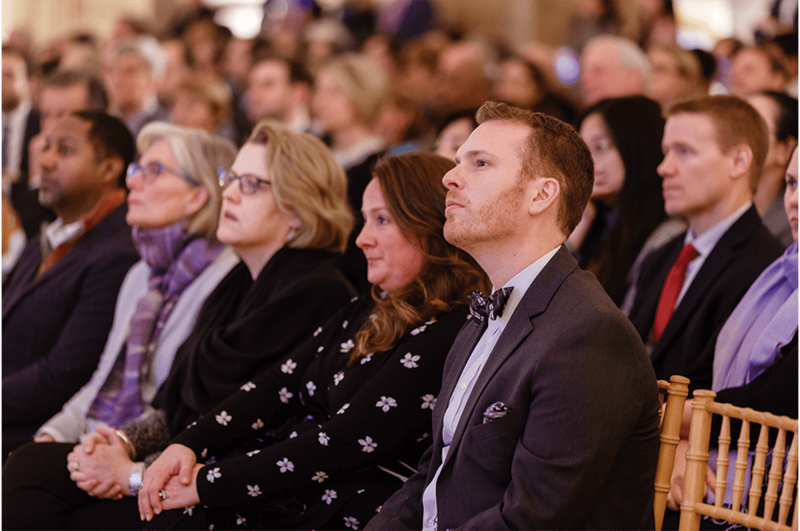 The Mellon had not been the client’s first choice because of his preference for a different architecture, but our Event Planner Terri was convinced that this building was the best space for our event. 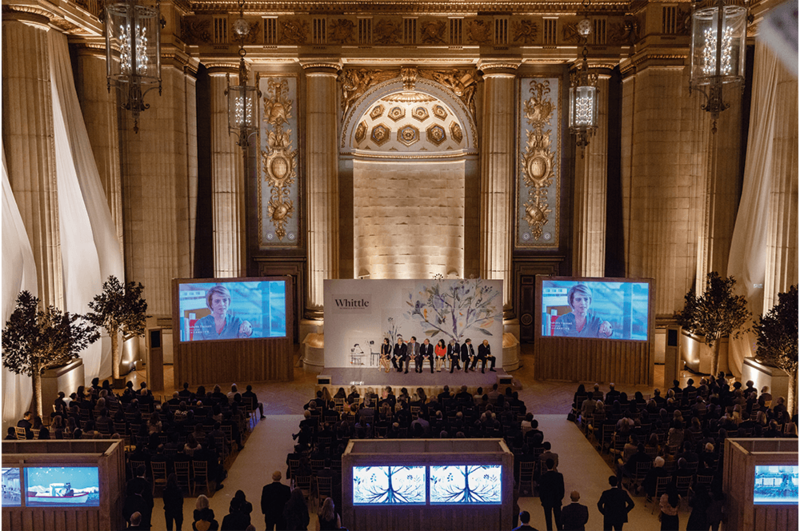 Acoustically, the Mellon Auditorium is perfect, and with our great design team, highly-skilled technical team and solid plan, Terri knew we could create the warm and inviting space the client required. 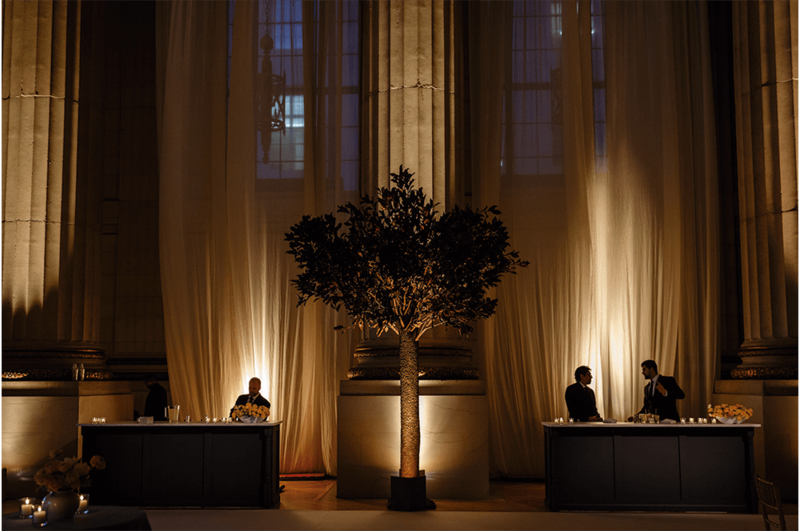 A major challenge for the team would be to soften up limestone and marble, and transform the cavernous Grand Hall into a welcoming space reflecting freshness and modernity. 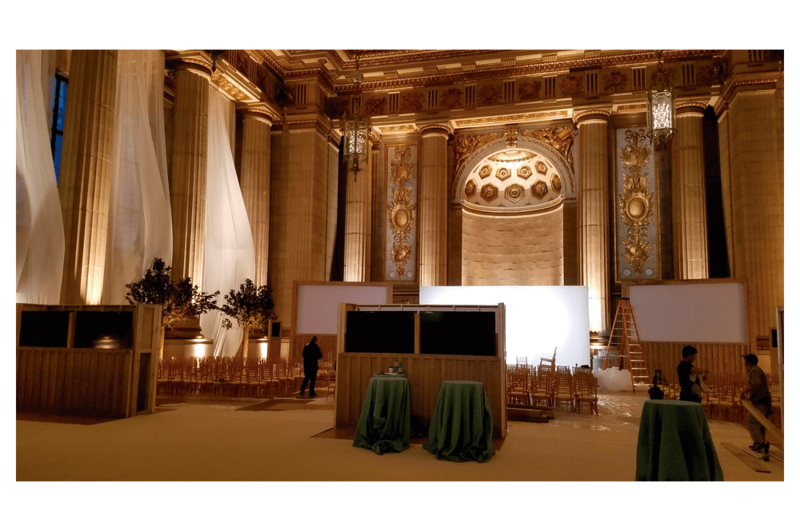 Our audio/video had to be beautiful, state of the art, and invisible to the guests. 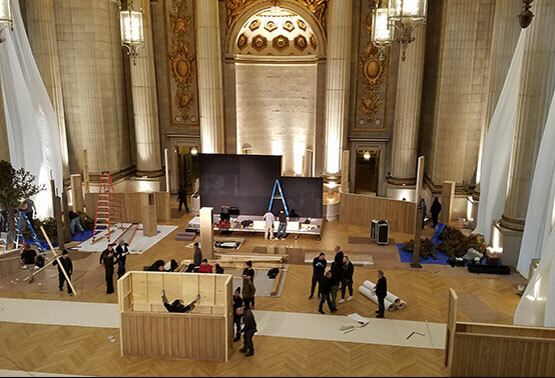 Because of the historic nature of the Mellon Auditorium, there are restrictions to the type of assembly and production that is allowed to happen in the building, and all vehicles loading in have to go through a government security check (X-ray) at a secondary location. With this much hardware and so many vendors, prudence in scheduling and equipment loading was essential. 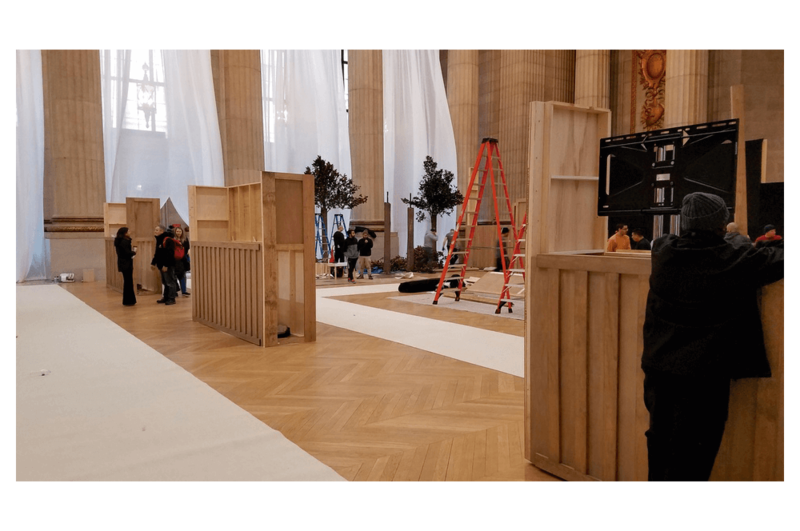 Productions of this size and budget are usually planned several months in advance but the only date that worked for both the Mellon and the client was February 8. 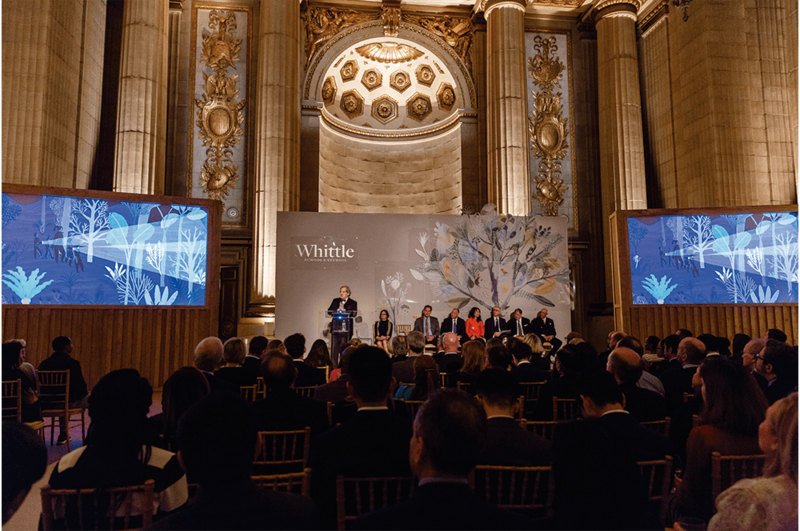 This left our team with only two weeks to plan and produce the event. A timetable this challenging meant that attention to detail during the planning stage was crucial. We established efficient communications and decision-making processes across teams in order to accommodate an extensive hardware order and milling of custom pieces. Any items that were not available in-house had to be ordered and arrive precisely on time with no room for error. 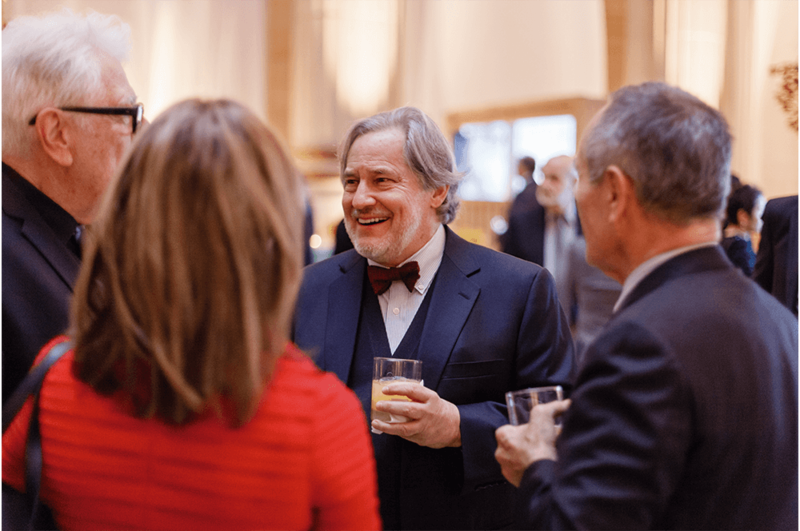 Since the client did not reside in Washington DC, we relied on conference calls to stay in sync, and when any differences in opinions arose, the client had to trust the decision-making ability of the team on the ground that he had hired. 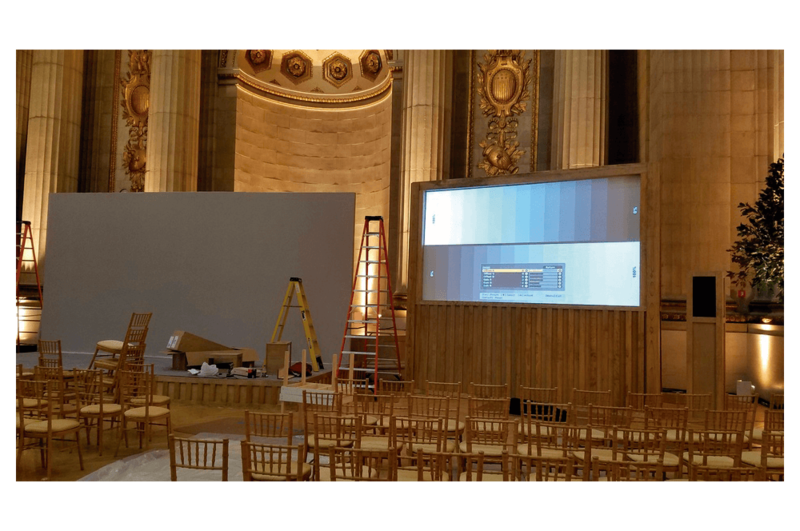 The client felt that our planned 14-foot projector screens were too large, and that they would not produce the sharp picture that a flat screen television would. Our team knew that a television big enough for our size crowd would not fit through the doorways of the Mellon but large projectors could. 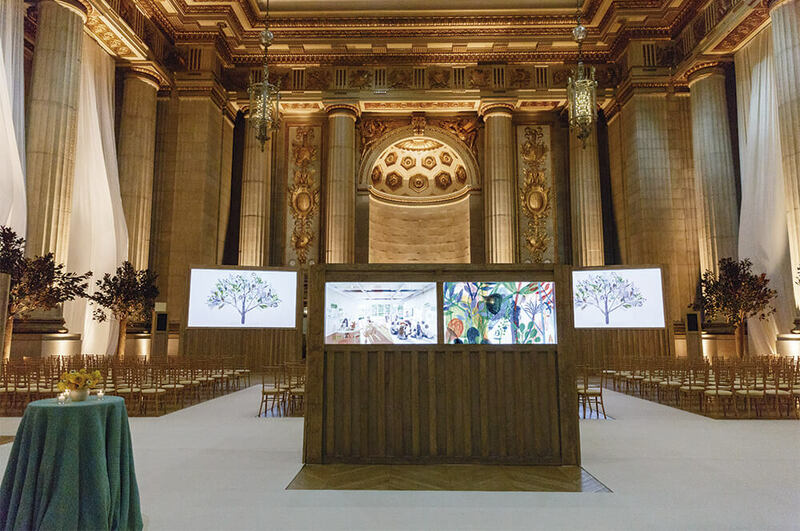 We knew large screens could be transported in pieces and assembled inside, as well as offer proportion to the Mellon’s 60-foot ceilings. The client eventually agreed the strategy was an ideal one. 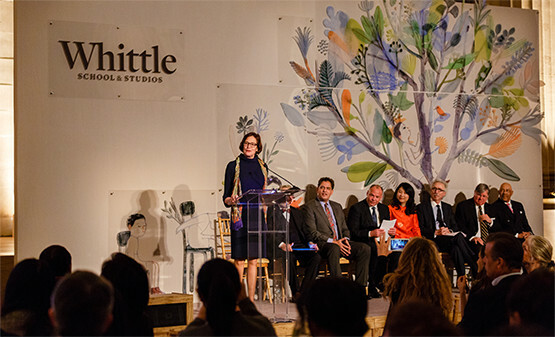 An acrylic backdrop with tiles featuring the Whittle School & Studios logo was the central focus of our stage. The client was concerned about potential glare from our lighting design and asked us to remove it. 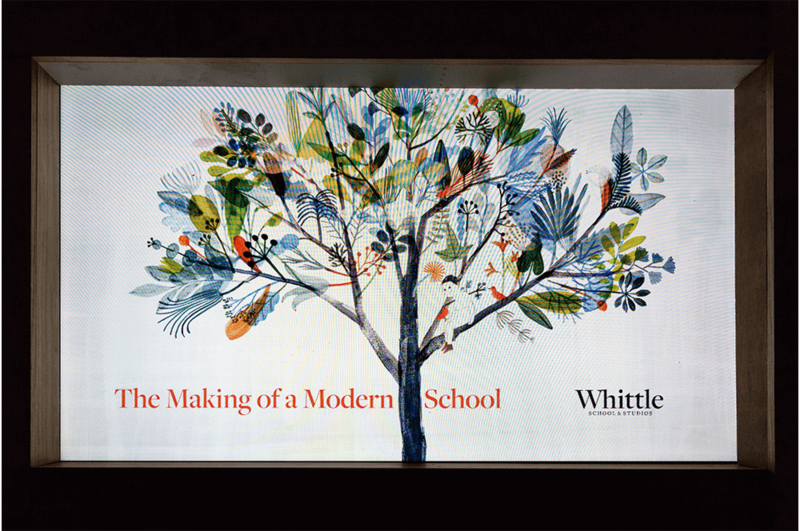 Our team worked with the client on a down-lighting and dimming strategy and the result was a beautiful portrayal of the school artwork. Once again, the client was thrilled with the results. 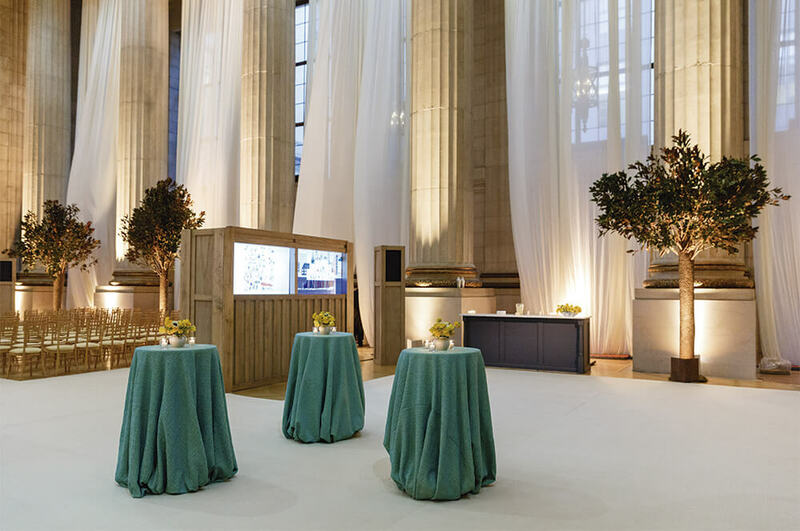 Floor to ceiling, flowing ivory drapes between columns to bring coziness to the vast room. 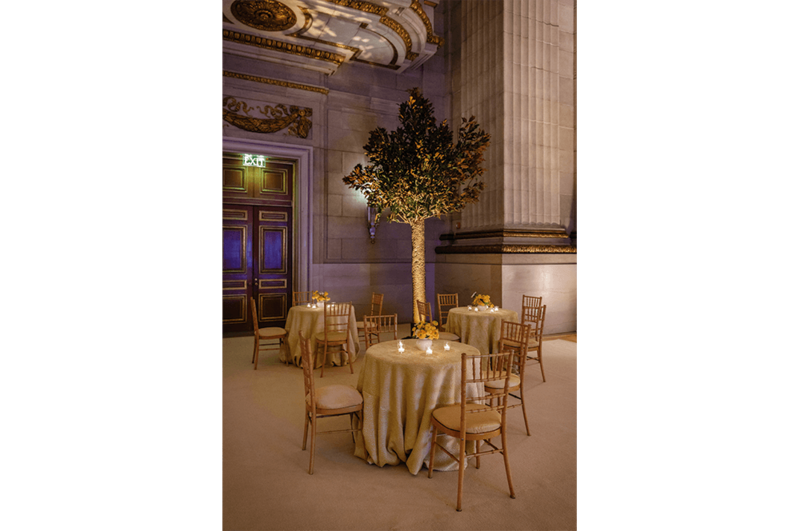 The client wanted a clean look, so we settled on a subtle tone-on-tone palette for the linens and chairs supplied by Occasions Caterers. 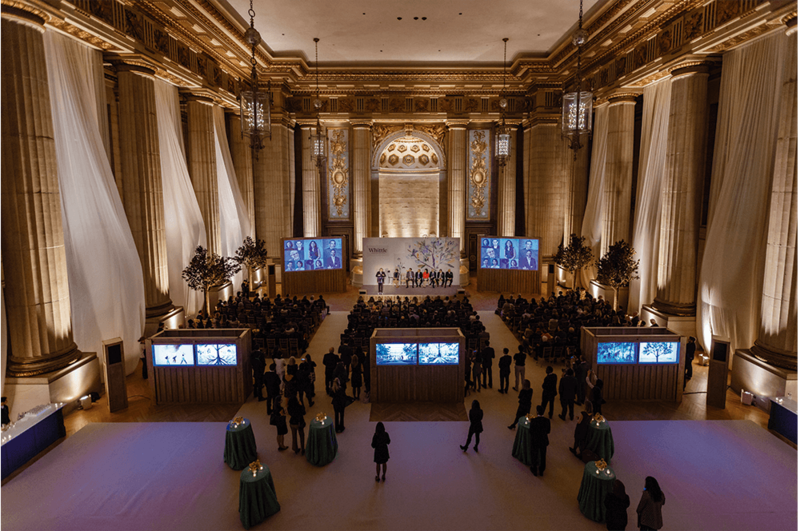 We developed an audio/video package that included a full sound system for 330 guests in theater-style seating, together with a PA system, microphones, music playback, projection screens, HD projectors and flat screen TVs for the lobby. 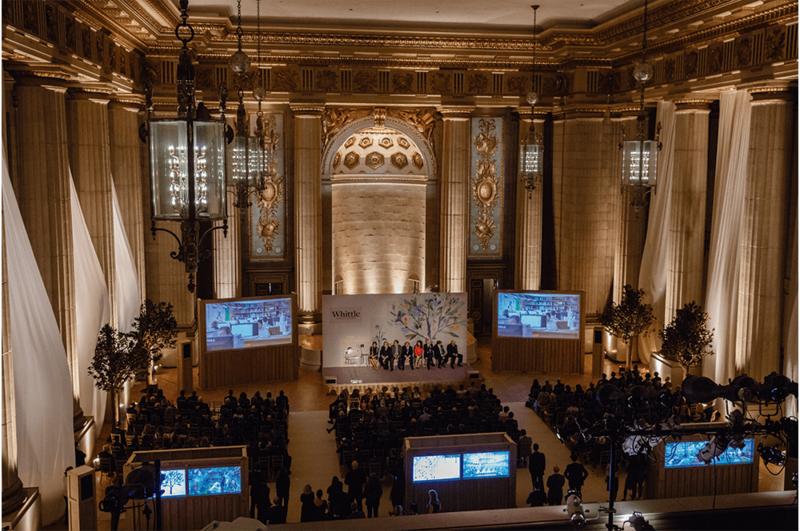 The process of designing this event had to be meticulous because of the challenges that come with working in a historic building. Like most national treasures, the Mellon has strict, protective working rules and load-in restrictions. 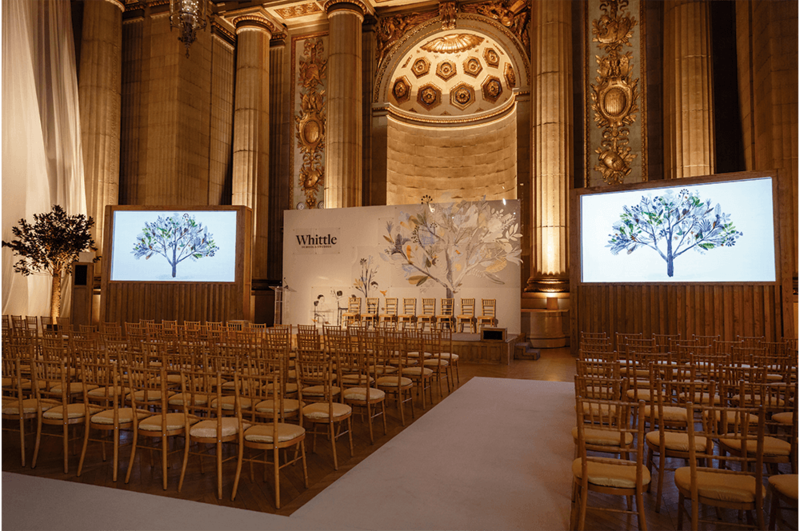 The unusual size of décor, audio/video equipment and custom millwork required absolute precision because once set inside the venue, altering placement and re-sizing would be nearly impossible. With this in mind and knowing the client’s level of expectations, the client agreed to set up the job the day before. Although a costly option, it was well worth it. It alleviated stress and allowed for revisions that would have been impossible with a day-of set up. After the different team members finalized their design, we produced a Computer-Aided Design (CAD) that served as a production guide and floor plan. It showed space functionality and breakdown with exact dimensions and specificity of fixture and furniture placement. Measurements were critical because all audio/video components were to be completely encased in pre-built custom cabinetry. Any discrepancies would result in major delays, because no revisions could happen inside the Mellon. The exterior lighting design was simple and minimal, featuring LED up-lights in a soft amber to highlight the building’s entrance. 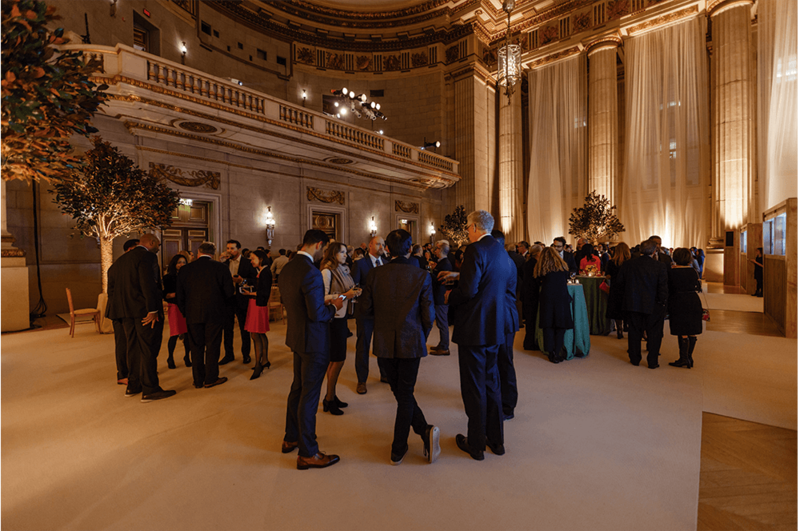 This space, 84 x 49 feet of imposing limestone walls and marble floor, was the designated Guest Registration and Coat Check area. 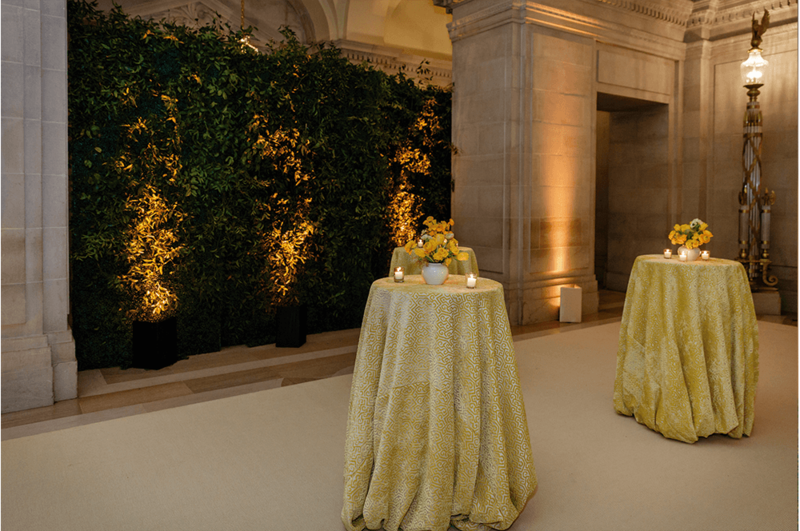 The central entrance to the foyer was defined by walls of boxwood plants created by Philippa Tarrant Floral Design that brought life and intimacy to the otherwise grand entrance. 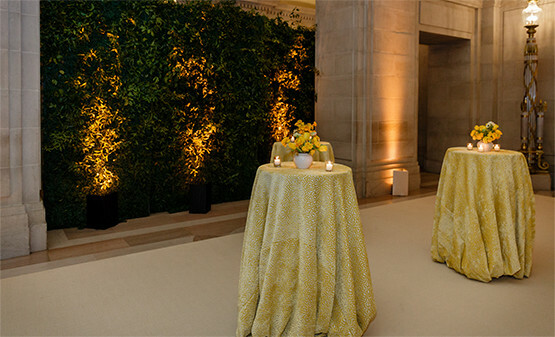 The floral designers echoed the organic mood of the entrance with walls also covered in Southern smilax and camellias. In addition to livening up the limestone, these walls offered a lovely complement to the evening’s aesthetic. 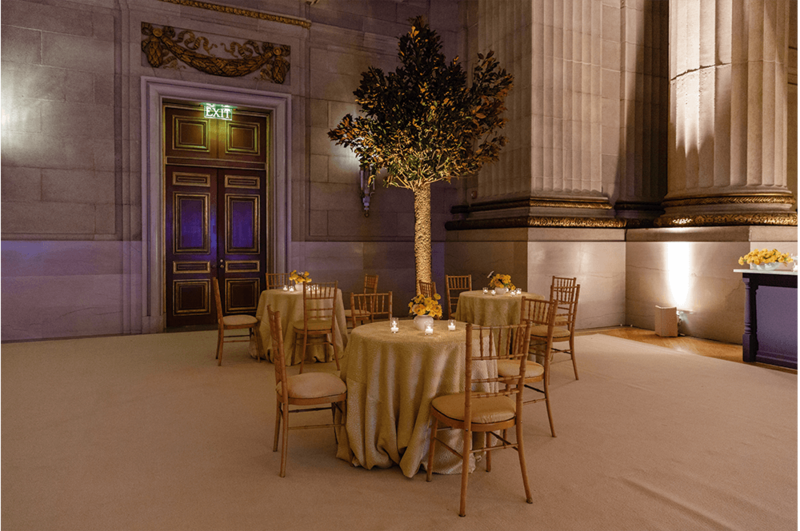 To soften the marble floor, Fabrication Events carpeted the room from edge to edge in a neutral off-white sisal carpet. 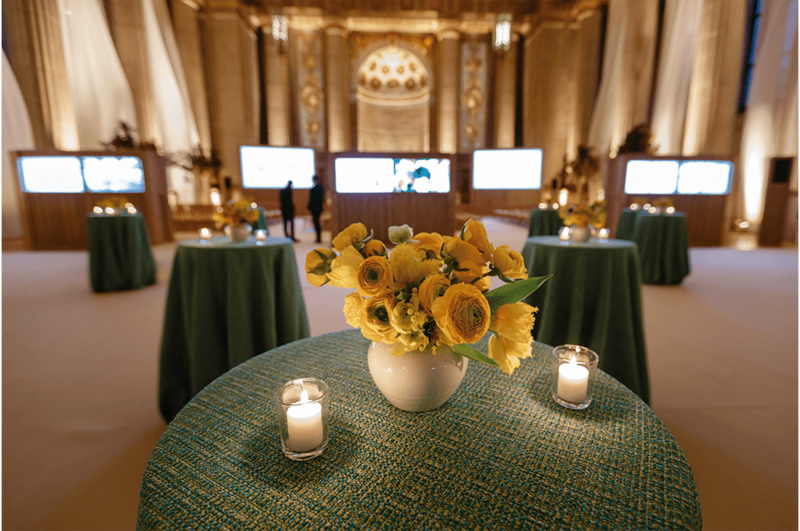 The carpet was also perfect for hiding the taping and wiring needed for the lighting, audio and video apparatus. 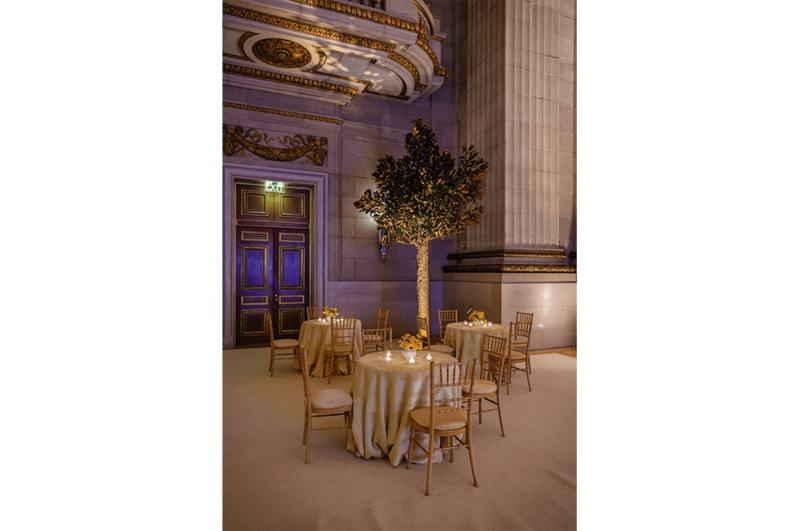 We strategically placed up-lighting to add warmth to the limestone walls and columns in the same flattering soft amber as the entrance, using LEDs with diffusion gels. We hid the fixtures with beige covers to mask the hardware from the guests. With the same soft amber LEDs, we up-lit the walls of Southern smilax and camellias, and used dark brown fixture covers to blend in with the plant bark. We highlighted all four of the cocktail “bars” used as check-in desks, applied a soft wash over the cocktail area and up-lit two flanking stairwells leading to the restrooms. We highlighted the check-in and coat stations for visibility and warmth, and provided a warm wash of light over the foyer. 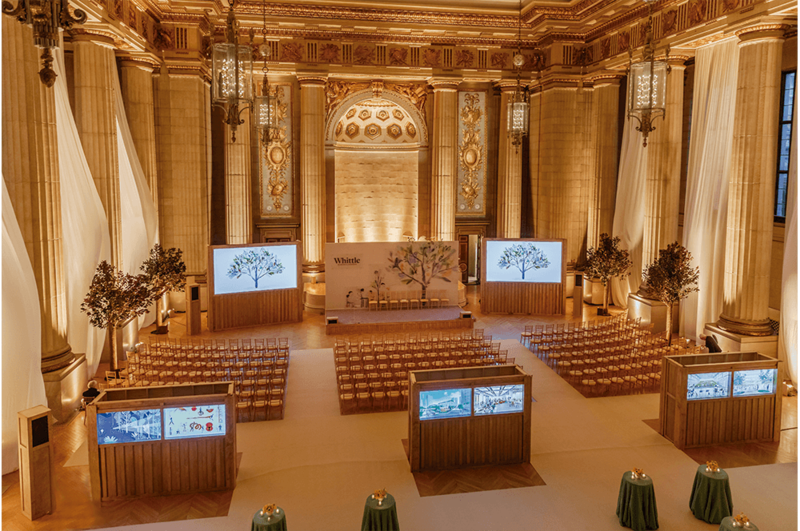 We used this space for both the cocktail reception and the seated program presentation for 330 guests. 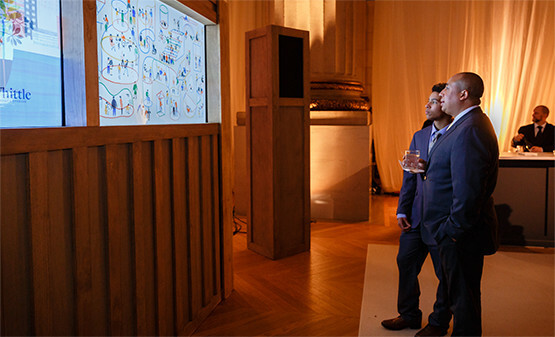 A wall of three custom-built cabinets by Social Supply, each housing two 65-inch televisions, was used to separate the reception from the program presentation. 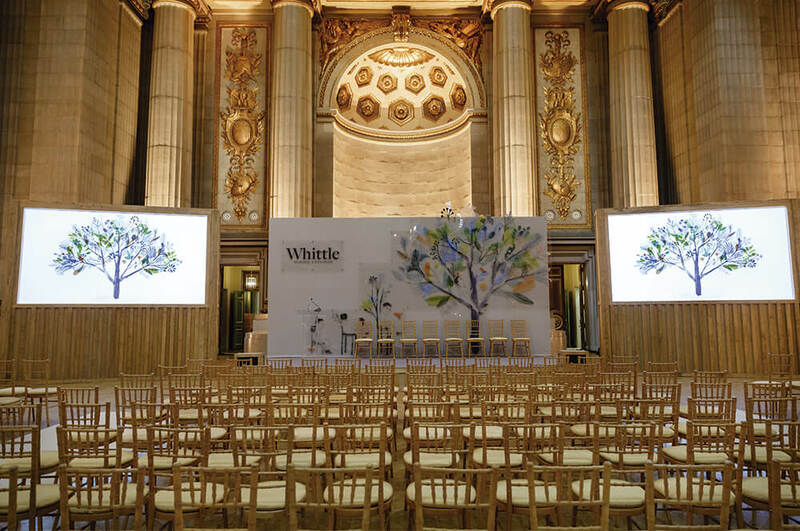 Fabrication Events’ off-white sisal carpet continued to run throughout the Great Hall. 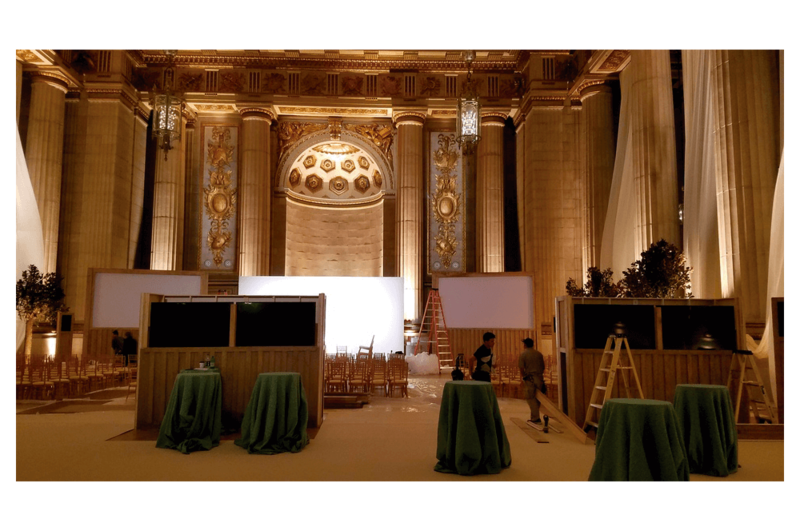 Because the client wanted all audio/video hardware to be inconspicuous to the guests, we hid the television screens, speakers and electrical cable within custom cabinetry designed built especially for this event by Social Supply. 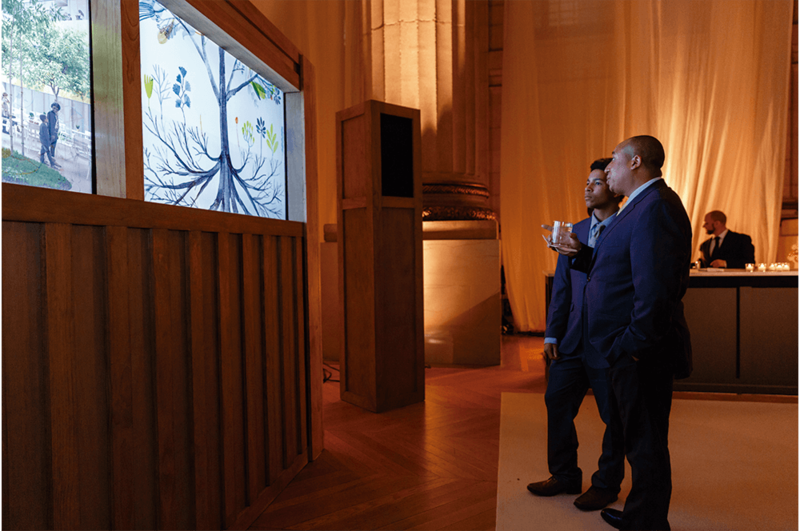 We placed a pair of cabinets, each housing a 14-foot HD video screen, for showcasing the program presentation. 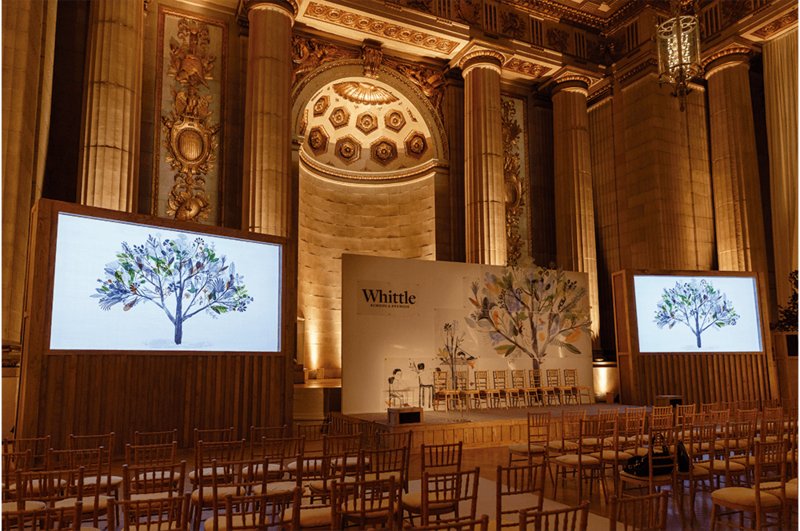 These screens flanked a matching 12-foot by 24-foot custom stage with a white backdrop that held glass tiles displaying the Whittle School logo. 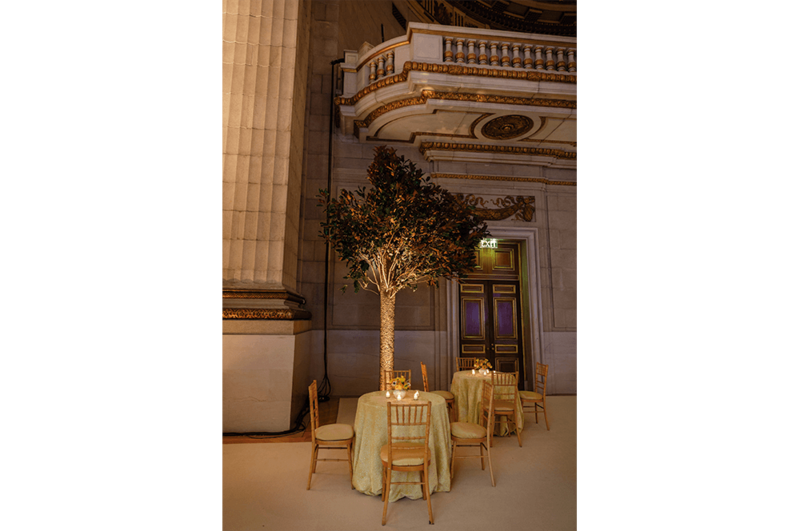 Philippa Tarrant Floral Design placed eight 10-foot fabricated trees in between each set of the Hall’s columns to carry through the earthy tone. 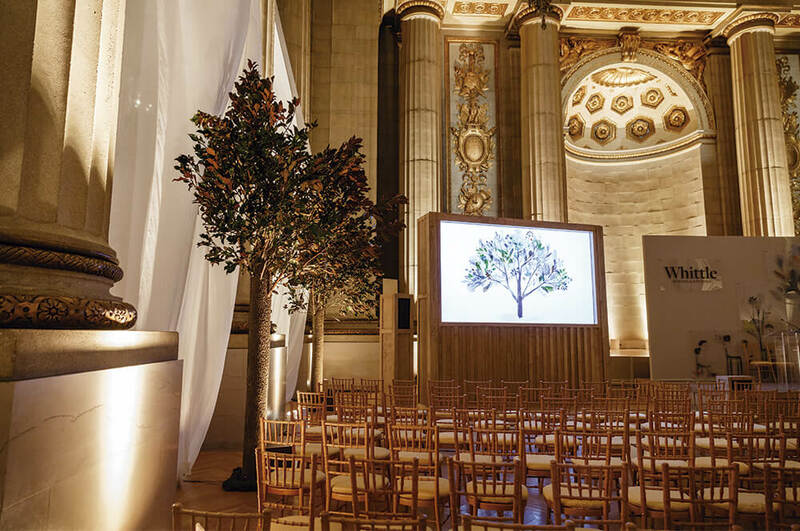 The trees helped to ground the room by lowering the focus from the 60-foot ceiling height. 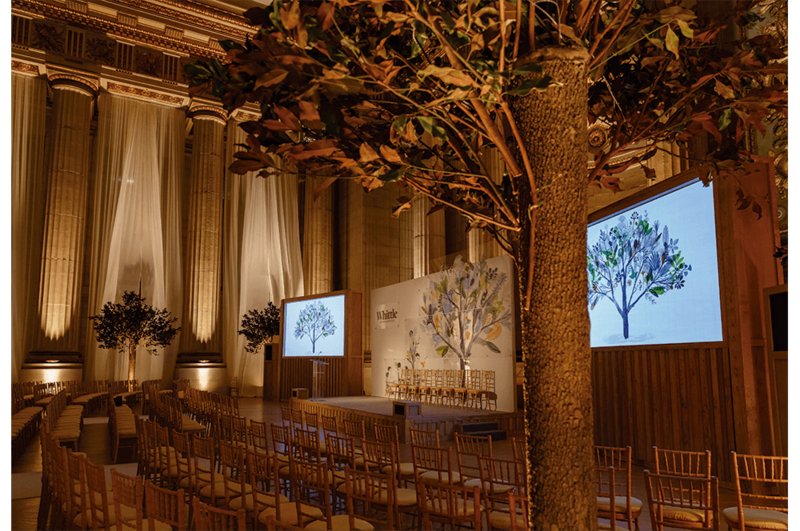 Fabrication Events treated the space in between each column with sheer, flowing ivory fabric that helped to create an intimate space and bring softness and subtlety to the limestone façade. 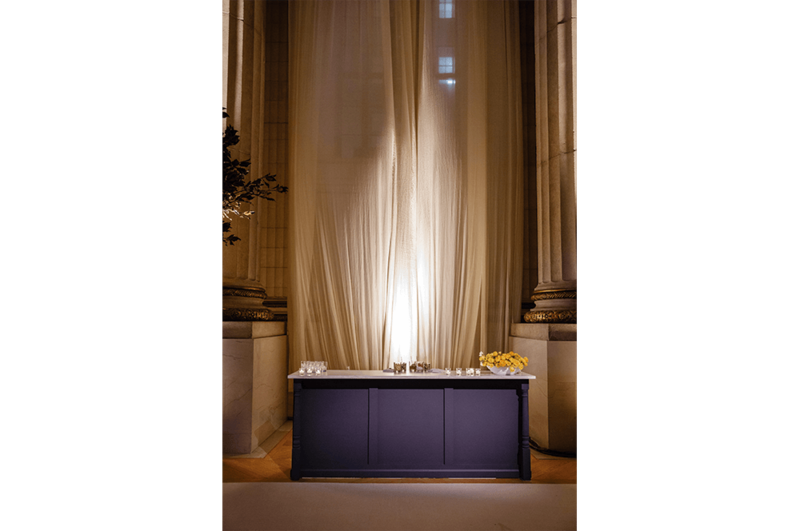 Using high intensity fixtures, we added dramatic up-lights onto the venue’s 16 Doric pilasters and onto each drape panel, creating a consistently beautiful, glowing warm ambiance. 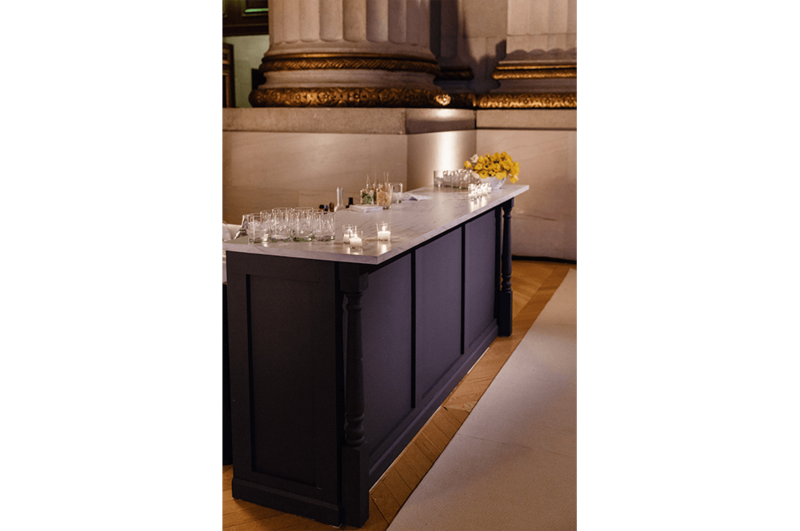 Again, fixture covers were used to make sure hardware was not visible to the guests. A low-intensity PAR 38 up-light was used on the trees. 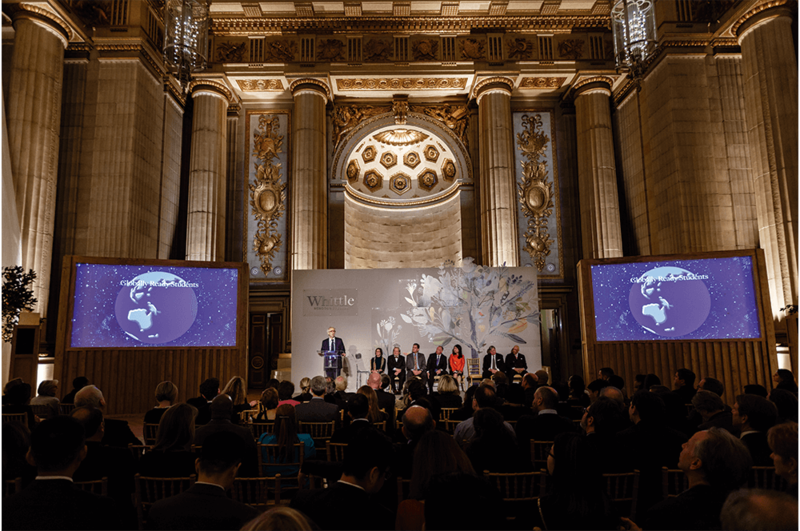 We employed a wash of light, created by Lekos, to warm up the stage and cast a spotlight over the speaker’s lectern. Our lighting was calibrated and finetuned to minimize any shadowing and glare that could possibly arise from the glass tiles depicting the logo imprint. Given all the moving pieces to this event, there was a significant amount of inter-dependency among our teams. 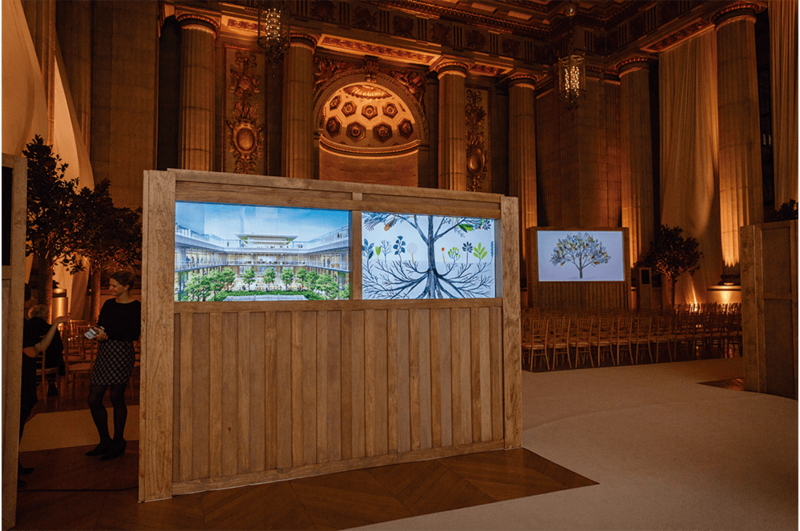 A notable example is the coordination that flowed between EMT Productions who supplied the televisions and screens and Social Supply who built the custom cabinetry to house them. Normally in such an instance, the components would have been sourced and sent to Social Supply so that they would have a “prototype” to work with or from. Social Supply would measure and account for all angles, edges and nuances of the televisions and screens. They would be able to see where to drill the openings for the cable runs and any other such requirements. 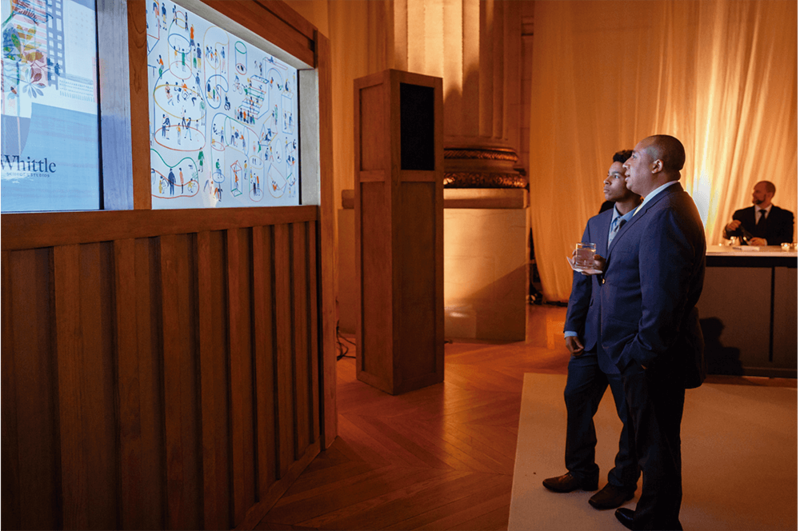 However, in this case, there was not enough time to order six 65-inch televisions of the required specifications and ship them to the cabinetry team, and then to the site. The teams had to communicate and share specifications via manuals, and trust that there would be no deviations or surprise elements. As it turned out, despite all the planning, there was a slight size difference with the televisions and their cabinets and it had to be corrected. Because no drilling or carpentry can happen inside the Mellon, the cabinets had to be taken in and out of the building for adjustments. 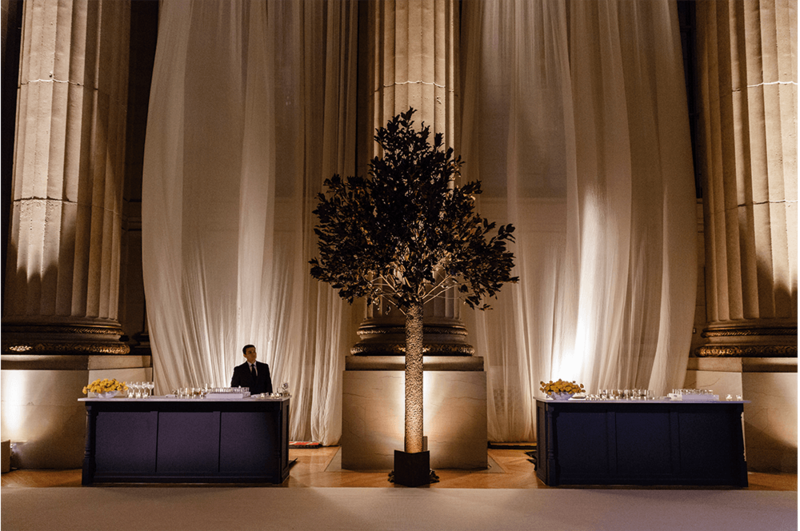 This process was a bit stressful, but the team’s foresight in setting up for this event a day in advance proved ingenious. Had we not been there the day before, this adjustment would not have been possible. 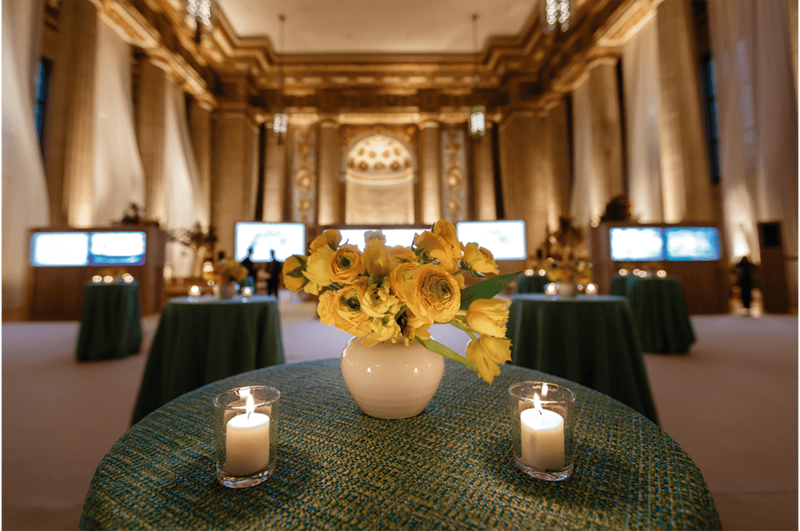 Scheduling between the carpeting team and the lighting and audio/video teams also had to be planned out carefully. 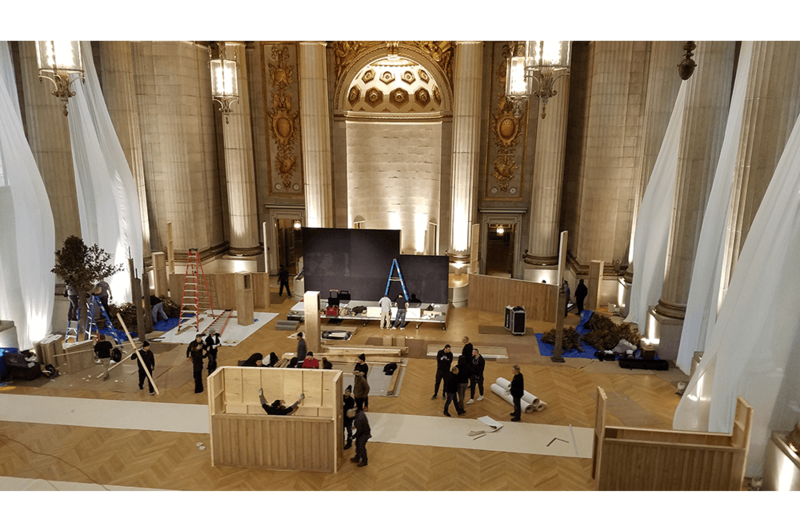 Normally, teams can work independently for the most part, but since all wiring was to be hidden by the carpeting, the audio/video and lighting teams had to work earlier and in concert with the carpeting team. Lifting up carpet to correct or adjust wiring was a scenario all teams wanted to avoid. 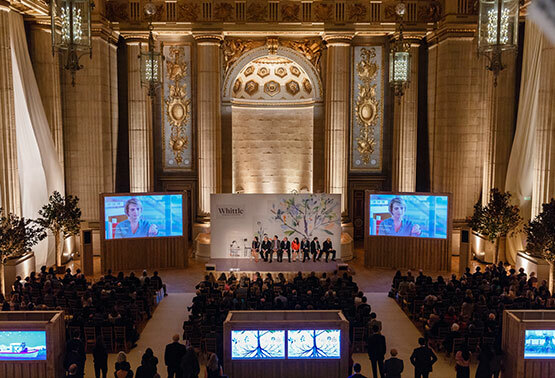 After executing our rigorous and demanding planning and installation procedures, the team was elated with the outcome of this event. 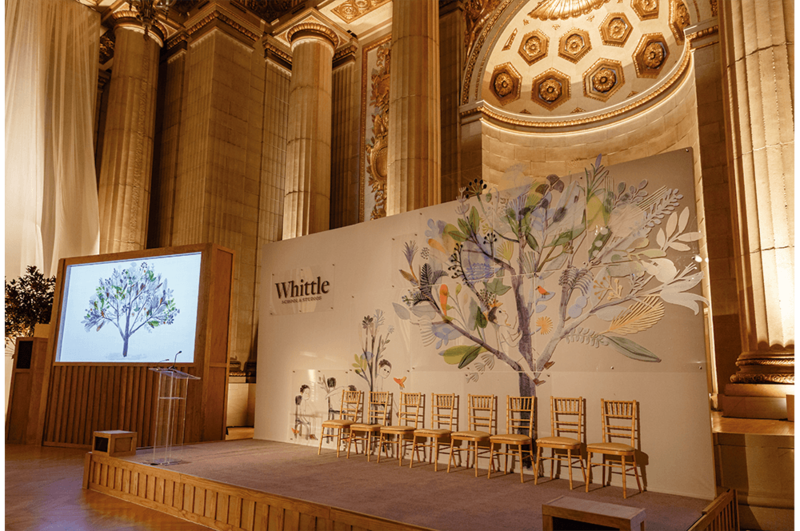 With the vast majority of the installation having been completed the day before the event, only minor tweaks and additions were needed the day of the launch. 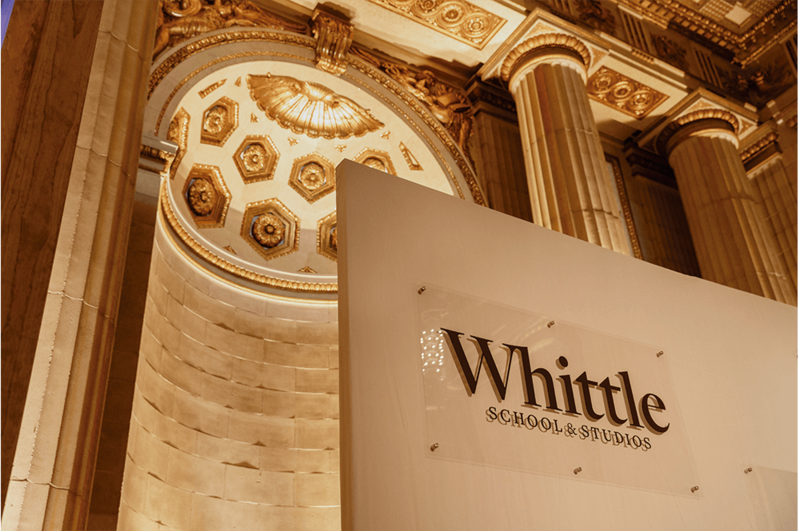 The day was calm, the Whittle School & Studios clients were happy, and the site looked amazing. 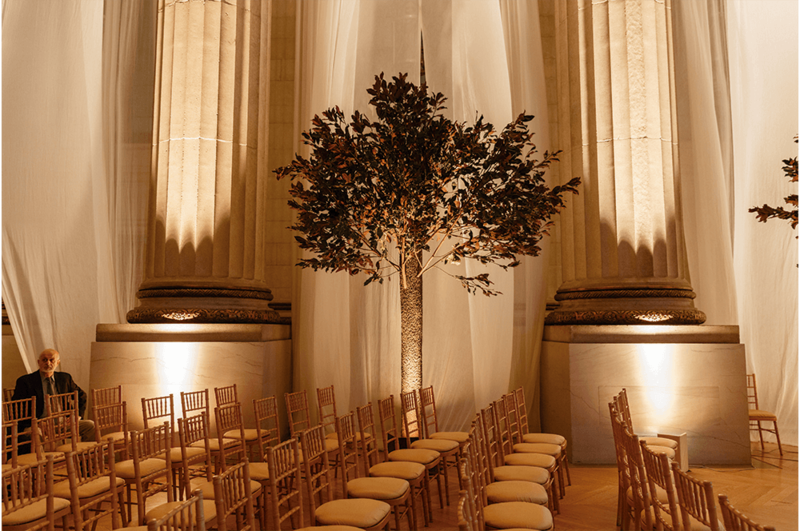 We had finessed every detail and planned with precision, and the execution was exactly as we had hoped. 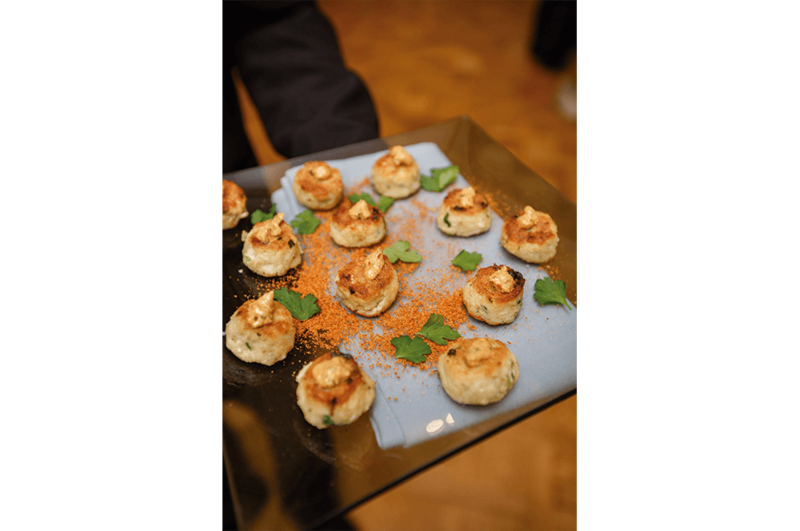 Occasions’ food was devoured, the décor a hit and the MJ Valet service a welcome treat. 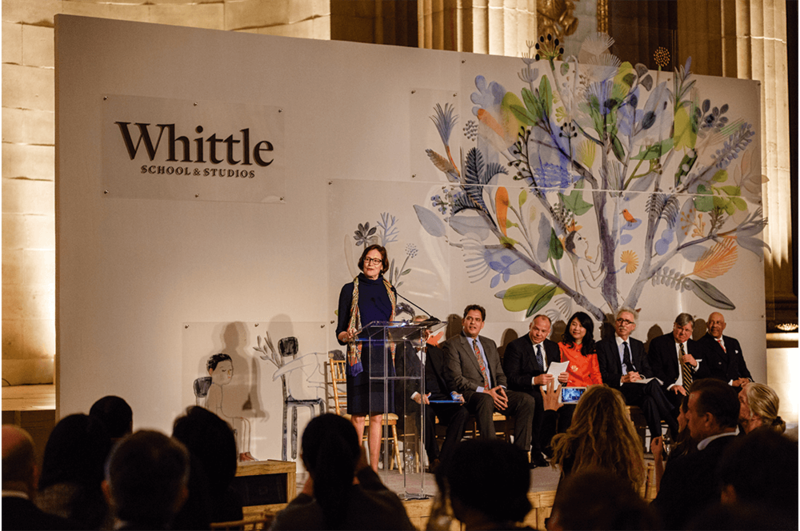 More importantly, Whittle School & Studios had engaged, enthused and enchanted hundreds of people in its unveiling of the world’s first global K-12 school! This was the first time that FROST DC had worked with Bash, and it was a wonderful experience. 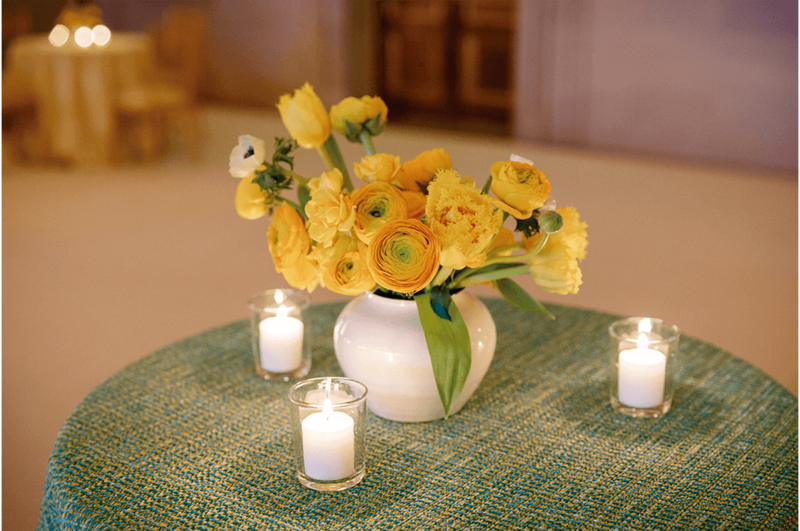 Terri was our dream client. 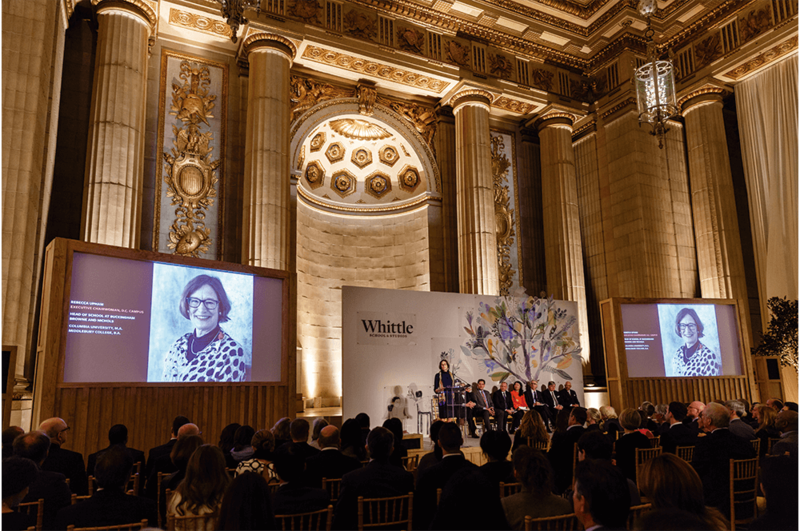 She was knowledgeable, supportive, and allowed us the breathing room to do what we do best. 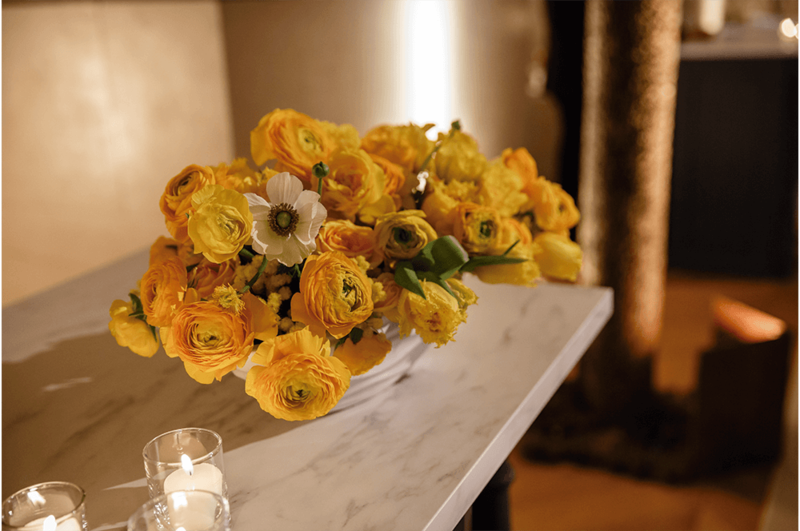 We also enjoyed working with members of the design team – all remarkable professionals with top-notch expertise. Vendor coordination to mitigate the typical pitfalls associated with a job of this magnitude produced in an unusually short amount of time. We also learned that when dealing with custom builds, it is important to get the actual unit to the build team, if at all possible. This can save a significant amount of time and avoid the headaches of problem solving during installation. Though not always financially feasible, advance set up on job sites with multiple vendors and components can alleviate many problems and stress. And finally, working in unison with goal oriented-professionals makes for happy and calm clients! 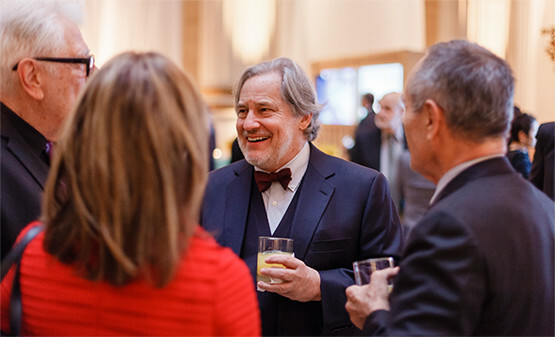 Event photos credit: Stephen Bobb Photography. Pre-Event photos credit: FROST DC.